The home where Sherman Foutz lived out his last years, at 135 N. Summit St. in Harrisburg, Pa. His widow, Elizabeth, would relocate through a succession of residences in her final 30 years without Sherman. The life of my great-great aunt Lizzie Foutz is one I’ve puzzled over for some time, and probably more than that of her well-known husband, Sherman Foutz. Great-great Uncle Sherman’s life — and early death — after all, is more easily navigable for its documented rise and development and the decisive, tragic final chapter. But the family left in the wake of Sherman’s losing fight with tuberculosis, at just 47, is harder to trace and understand. Cast out of the spotlight trained upon Sherman for his U.S. Treasury Department appointment, then leadership of the Knights of the Maccabees, then prominent fire insurance business in first Reading then Harrisburg, Pa., the family splits up in the decade after his death. 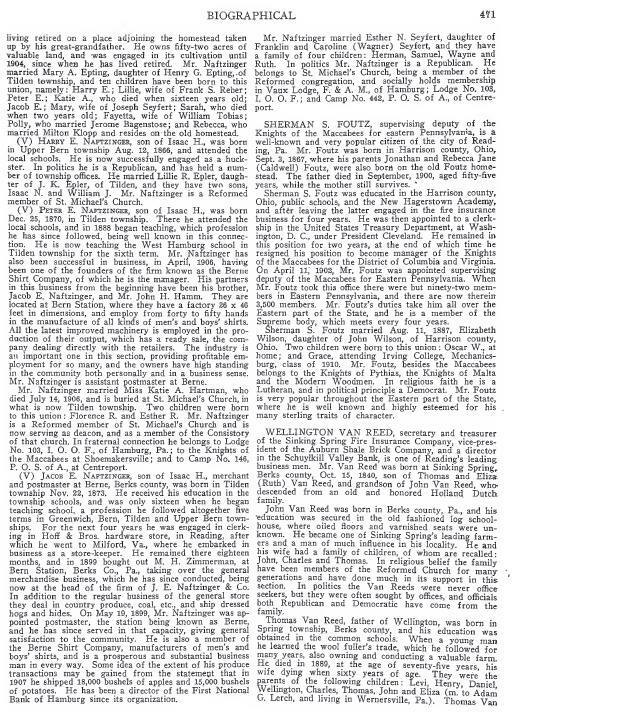 the omission in Sherman’s 1915 obituary and other circumstantial evidence that seemed to indicate his oldest child, Oscar, preceded him in death, when in fact, as revealed by Sherman’s death announcement (and other documentation we’ll get to), Oscar survived him, though he lived in faraway Arizona as one of his two sons — what happened to the other, and to Oscar’s wife? — lived for a time in Lizzie’s care. the most complete tracing of what happened to Sherman’s family following his death can be found in the 1970 obituary of daughter Grace Foutz Chaney, and a 1969 feature on her life and teaching career in Ohio, though some of the facts are wrong, and mysteries still surround Grace’s childlessness, her choice to live 300 miles from her widowed mother and nieces and nephews, her sporadic but forgotten visits to my great-grandfather Vance (her uncle just 3 years her senior), and her habit of fudging her age, which ended up etched into her tombstone’s incorrect birthdate. But it is the fate of Sherman’s widow, Elizabeth Wilson Foutz — Lizzie in census records and on personal possessions — that holds even greater intrigue than what we’ve picked through so far. From Harrison County to Harrisburg, Pa. 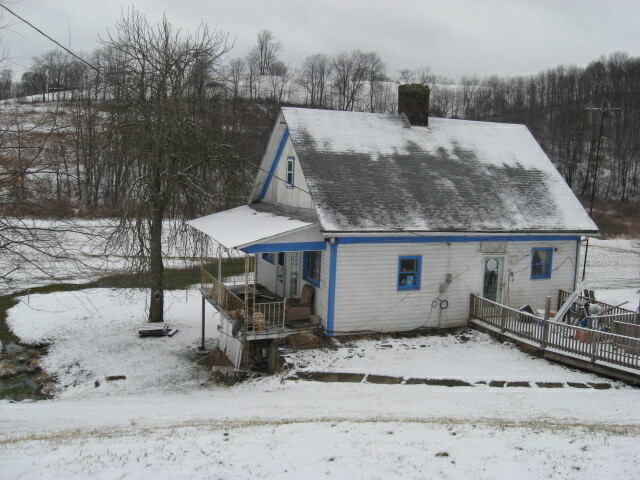 According to a history of Berks County published in the first decade of the 1900s, Elizabeth Wilson was the daughter of John Wilson and grew up, like Sherman Foutz, in Harrison County, Ohio. Born in October 1866, according to census records, Elizabeth Wilson grew up in a family of a dozen or so children. 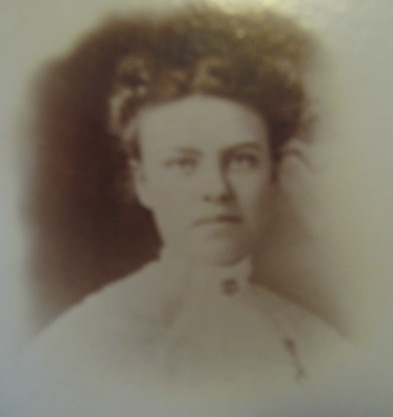 Unlike eldest child Sherman, born in September 1867 on a nearby farm to Jonathan and Rebecca Foutz, Elizabeth was second-youngest of that big brood. Her parents, John and Mary, were Irish immigrants. They were married in Pittsburgh, Pa. about 1839, and their first children were born in Pennsylvania. By the time Jane “Jennie” Wilson was born in 1843, they were living and farming in Harrison County, Ohio. The 1880 census is the last to catch Elizabeth Wilson and Sherman Foutz before their marriage, kids and move to Washington D.C. (The 1890 federal census was almost entirely destroyed in a fire.) At the time, Elizabeth is 16 and attending school; Sherman, at 13, also goes to school and his household includes sisters Lila, Rachel and Ida, and younger brother John. The family spells their name Pfoutz. After graduating from the Harrison County public schools, Sherman attends New Hagerstown Academy in nearby Carroll County, an unprecedented level of education not only for the farming Foutzes as a clan, but for Sherman’s younger siblings as well. On August 11, 1887, Sherman and Elizabeth are married. He is 19; she is two months shy of 21. Son Oscar will be born 15 months later in December 1888. 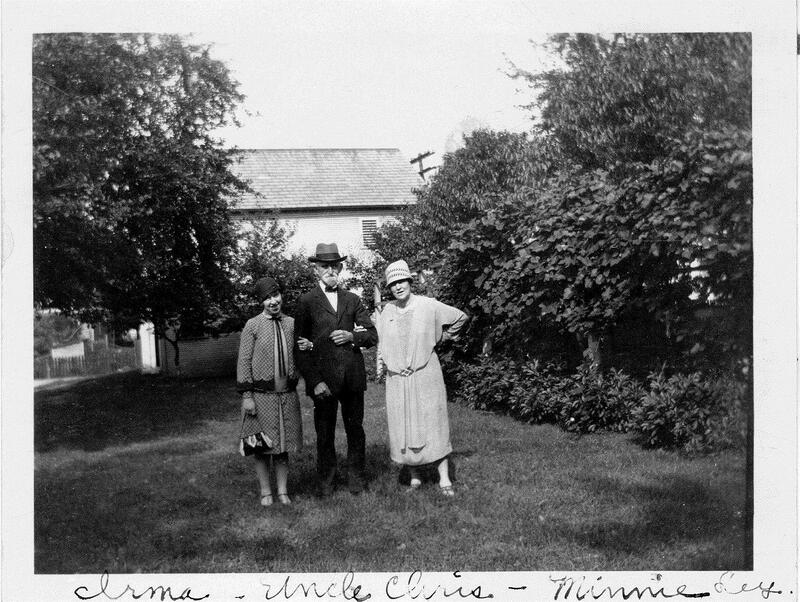 Daughter Grace follows on Sept. 5, 1890, her birthday two days after her father’s. The family makes their home in Bowerston, where Sherman works in the fire insurance business. Sometime in the 1890s, he is appointed to a clerkship with the U.S. Treasury, during the second presidency of Grover Cleveland. The 1900 census finds Sherman and Elizabeth and family sharing a house at 732 Flint St. in Washington D.C. with Jonathan, Rebecca and their youngest sons Charles and (Colt’s great-grandfather) Vance. The census catches them in June, just months before Jonathan and Rebecca would return home to Harrison County, where Jonathan would die of Bright’s Disease, a kidney ailment, in September at age 55. According to the Berks County history, in April 1902 Sherman accepts a role as supervising deputy for the Knights of the Maccabees’ eastern Pennsylvania district. The family moves to Reading, where Sherman succeeds in growing the membership base from 92 to more than 3,500 over the course of the decade. Property sales records show the Foutzes selling their Reading home in 1909 and moving 60-some miles west to the capital city of Harrisburg, where Sherman continues his Maccabees leadership for a few more years before taking charge of the Protective Home Circle, an insurance collective, in 1913. About that time, the family moves into a brand new house at 135 N. Summit St. in Harrisburg. Not far from Sherman’s insurance offices on 2nd Street, the red brick home abuts North Terrace Park and boasts 4 bedrooms and 1,900 square feet, according to Trulia stats. A pretty piece of real estate at the time, the family would not stay there long during a tumultuous conclusion to the 1910s. A ruby glass uncovered in 2013 at an Ohio auction bears the name of Great-Great Aunt Lizzie Foutz and seems to date from a Modern Woodmen of America benefit in 1910. In the years I’ve researched Sherman Foutz’s family and descendants, I’ve turned up numerous photos of Sherman, in portraits and official Maccabees invitations, even newspaper caricatures. Thanks to the Morelands (family of sister Ida), we’ve got a four generations portrait of Grace and her father about 1910 with grandma Rebecca Foutz and great-grandma Rachel Caldwell. No portrait or picture of mom Lizzie B. (Wilson) Foutz exists, that I’ve found. Same for son Oscar. We’ve got obituaries to bracket the lives and lend order to the stories of Sherman and Grace. But Oscar comes up missing ink. And until recently, Lizzie did, too. The only clues were census records, and even those were incomplete. We know that, following Sherman’s death in 1915, Lizzie turns up in 1920 and 1930 still living in Harrisburg. In 1920, grandson Ralph, 11, is the only carryover from her 1910 household. Sherman, Grace and Oscar are gone. A new addition is 14-year-old foster daughter Catherine, whose birthplace is listed as Pennsylvania and whose parents are listed as born in the United States. Not listed in their house in 1910, and not mentioned in Sherman’s death announcement or obituary, interestingly, Catherine was probably adopted after Lizzie was widowed, when she was as old as 9 or 10. Never having been listed as employed before, through her 20s and 30s, Lizzie, at 45, now works as a cook in the Elks home. She also hosts two roomers at the family’s rented house at 59 N. Tenth St. — 44-year-old widow Lydia Farber, a cook at a factory restaurant, and her 14-year-old daughter Helen Farber. By 1930, Lizzie and Catherine Foutz are the sole members of their household, renting an apartment with dozens of other families (in the building, I’m presuming) at 412 Briggs St., about where the State Museum of Pennsylvania stands today, though their address is also listed in a 1930 city directory as 910 N. Third, right around the corner. Their ages are reported, erroneously, as 52 and 20. They should be 55 and 24. We know from the 1940 census that Catherine is living in Lititz, Pa., about halfway between Harrisburg and Reading. She is married to John Roy Rutt, a cutter in an asbestos factory. Catherine is not employed. Lizzie vanishes from the public record at this point. 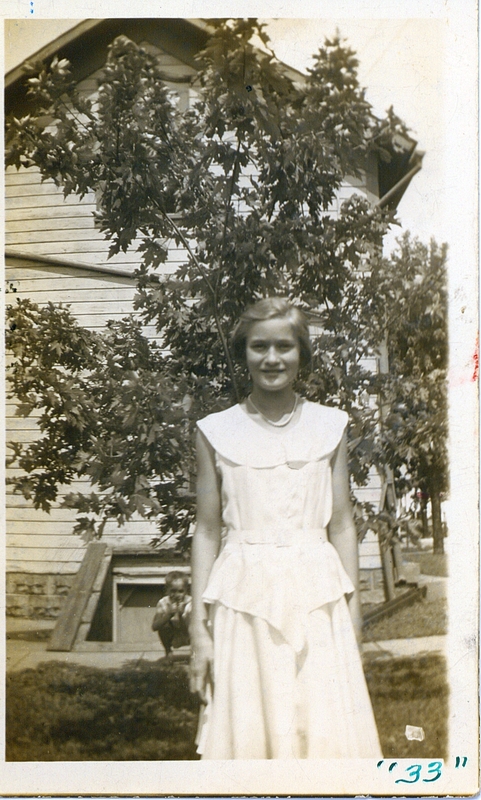 Though I have scoured census records in Harrisburg, going neighborhood by neighborhood, I can’t find her. 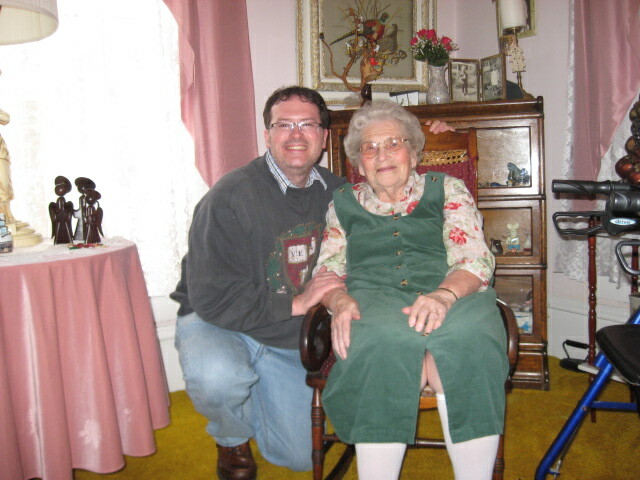 She doesn’t live with Grace in Ohio or Catherine in Lititz, or grandson Ralph in Harrisburg; nor does she show up in the residences of her two surviving siblings. And aside from knowing her death year — 1945 — for a time, I had no inkling of where she was after 1930. But there, in the newspaper archives of the Harrisburg Telegraph, was her obituary. I try not to take such sudden revelations as a personal judgment on all the hours I’d sunk in prior to that moment. I’ll take it as a stroke of luck instead. From this snippet, we learn that Lizzie was still living in Harrisburg up until her hospitalization in Lancaster (down the river from Harrisburg and south of Lititz). The place is a grassy lot today. We learn that Oscar may be still alive — and living in Charlotte, N.C. Her obit also confirms just two grandsons (from Oscar and Florence) — and that Ralph and Sherman are still living. 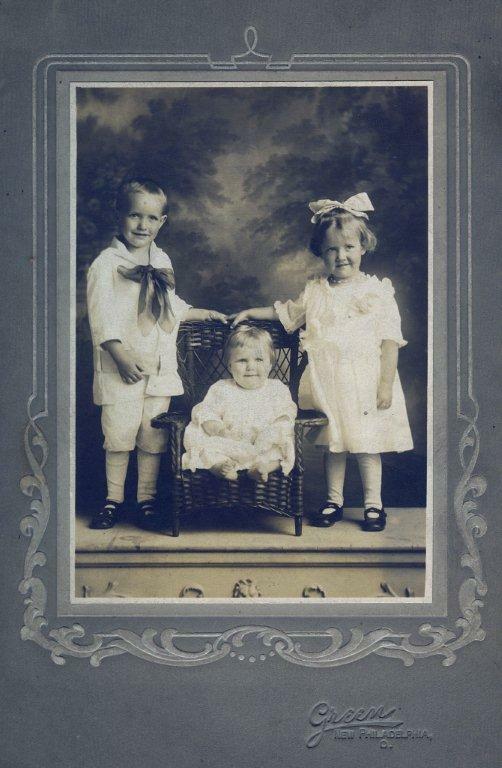 The five great-grandchildren are probably all from Ralph and wife Virginia (Henson) Foutz: Nicholas, Charles, Catherine, Arthur and newborn Grace, not yet a month old when her great-grandmother Elizabeth died. Lizzie’s body would be returned to Bowerston for burial. She is laid to rest in Longview Cemetery, across from Sherman. And that’s her story, as much as we can piece together. Still, there are sudden connections that surprise. Late last spring, around the time of my son Caleb’s birth (a busy time, and part of the reason for the delay in sharing), I was emailed by Nancy Dionne. She was hunting auctions in Zanesville, Ohio and came across a ruby shot glass with a crystal bottom, inscribed “Lizzie Foutz” and “M.W. of A.” with the date 1910. The glass was thrown in as an “add-on” to a piece of pottery Nancy wanted. Curious about its origins, though, Nancy and fellow treasure hunters chatting in collectors weekly’s forums searched online and found this blog. M.W. of A, Nancy and company found out, was likely Modern Woodmen of America (one of Sherman Foutz’s many affiliations), and the 1910 event may have been a function at the Brooklyn Academy of Music in 1910. Nancy was kind enough to mail the glass to me. Now this relic of my great-great aunt Lizzie Foutz’s mysterious life sits atop a bookshelf on the right side of our fireplace and mantle full of family photographs. Here’s hoping that continued piecing together of our family’s past, and sharing in this space, can lead to even more illuminating connections. Another view of the Lizzie Foutz glass uncovered by Nancy Dionne in a Zanesville, Ohio auction. M.W. of A. likely stands for Modern Woodmen of America, one of Sherman Foutz’s many affiliations.